The third episode of our season on belonging and exclusion is here, and this month we are conversing across many disciplines, and setting a record with the number of voices featured. Our guests are writer and performer Candy Bowers, artist and filmmaker Amos Gebhardt, and playwright and theatre-maker Chi Vu, three artists who have challenged the dominant narratives of gender, culture, and race both in their work, and as prominent public speakers. In this episode, recorded at FCAC and moderated by RMIT Deputy Dean of Media Lisa French, our guests speak about the female gaze on stage and screen, and what to do with Jill Soloway when being woman-identifying is only one of the parts of your identity. “So I worked on a play called Straight White Men by Young Jean Lee last year at MTC. And I thought what was extraordinary with that play is that – I really don’t think Melbourne is at the same level regarding consciousness and dialogue in regards to whiteness and privilege – more than half of the audience saw one play, and all the intersectional feminists saw a different play. Literally, people laughed at different jokes. This panel ‘Female Gaze on Film and Stage’ was originally recorded as part of the program for WOW Melbourne at FCAC, and was presented in partnership with the Australian Centre for the Moving Image. It’s the very end of summer in Melbourne, it’s a lovely Thursday afternoon, everyone is just settling in for an afternoon of discussions. It’s a beautiful conversation: it is a rare occasion to hear some distinguished voices of the Australian independent arts speak about the intersectional experience in a space that is safe and expansive, outside of the carnival of outrage and provocation that so often greets those who speak about diversity. 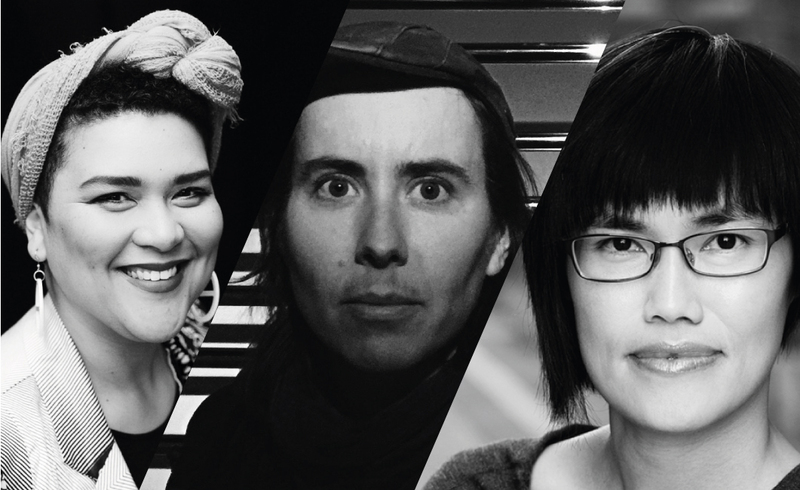 decolonising ourselves, Jill Soloway, inclusivity and being included, very small paths, being Best Female Performer for playing a straight man, what is cultural safety?, how bilinguals are not like two monolinguals in the same body, Back to Back Theatre, creating little worlds, what’s wrong with make-up artists in Australia?, and the female gaze. You can subscribe to Audiostage on iTunes or any number of Android platforms, friend us on Facebook, or follow us on Twitter. This season of Audiostage was created in partnership with Footscray Community Arts Centre as part of WOW – Women of the World Festival Melbourne, delivered in association with Southbank Centre London.